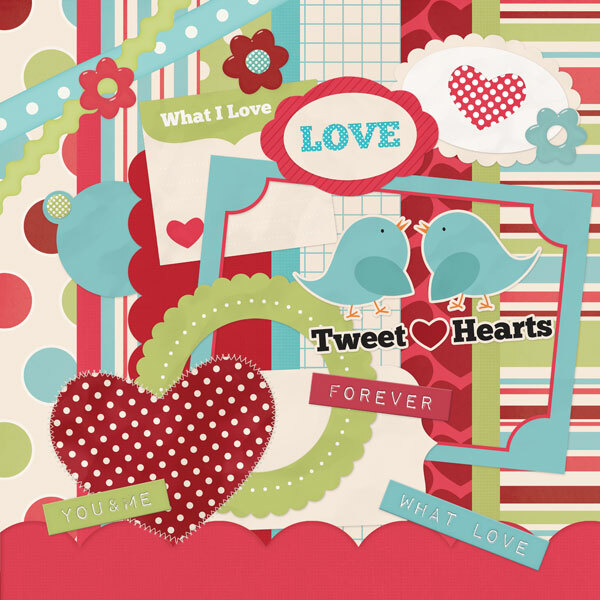 Our Tweet Hearts Digital Scrapbooking Kit is packed full of fun papers and embellishments all about love and spring time. It comes with 8 papers and over 15 embellishments. There are tags, flowers, frames, ribbons, bird stickers and more. there was no download button by the Tweet Hearts kit even though I logged in and was accepted. Ideas? I’m logged in and there is no download button for the Tweet Hearts pack…help it’s so stinkin cute!